Preheat oven to 200°C. 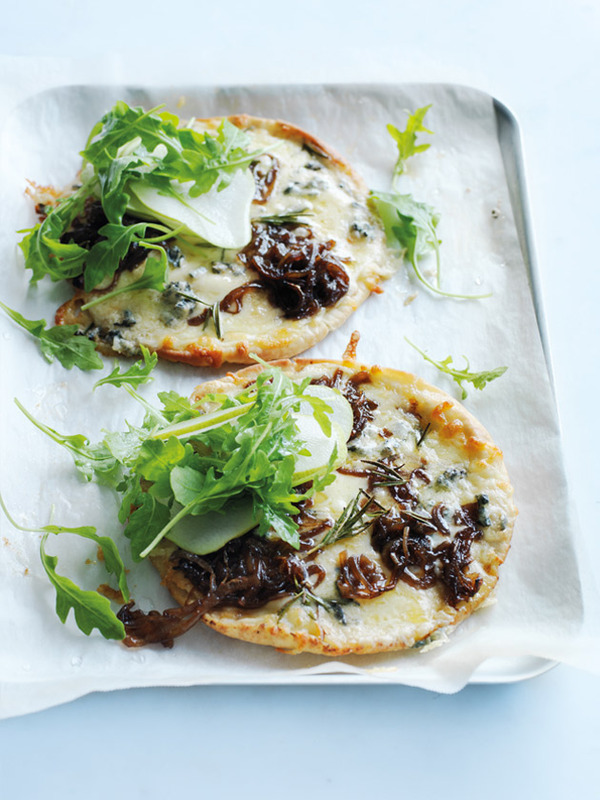 Drizzle the flatbreads with the oil and divide the mozzarella, caramelised onion, blue cheese and rosemary between the flatbreads. Place on a large oven tray lined with non-stick baking paper and cook for 8–10 minutes or until golden brown and the cheese has melted. Top each pizza with the rocket and pear and sprinkle with pepper to serve. Makes 4.